Lovers of the Taj Mahal, rejoice! As reported by The Hindu in this article, the Gatimaan Express, the fastest train in the country will roll out of Delhi at 160 kmph and reach Agra in just one and a half hours. The train was scheduled to be launched in 2015, but this was postponed. The exact day of the launch is still to be decided, but it’s likely to be at the end of this month, or the beginning of March. The Gatimaan Express boasts of a 5,400 horse power electric locomotive and 12 state-of-the-art coaches. Northern Railway has already fenced off the rail tracks in some locations, and upgraded the signalling system to be compatible with the semi-high speed train. Other features of the train include an emergency braking system, automatic fire alarm, passenger information system, television screens for each seat and sliding doors inside coaches. 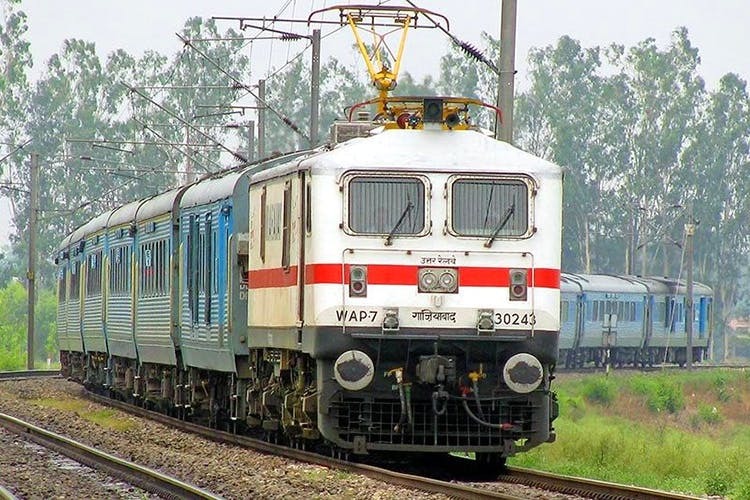 There are already plans to run similar semi-high speed services on other routes, which include Delhi–Kanpur and Delhi–Chandigarh. Will you be taking this train?